Releasing in Europe (3rd December 2017) and America (7th December 2017) - Nintendo 3ds eShop! But... Where, Who and When? 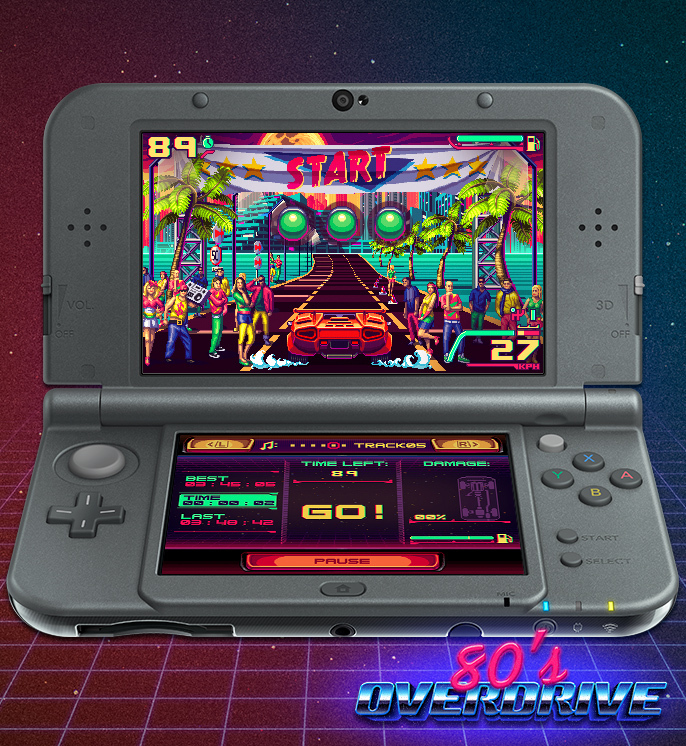 Nintendo 3ds eShop - Published by Insane Code. 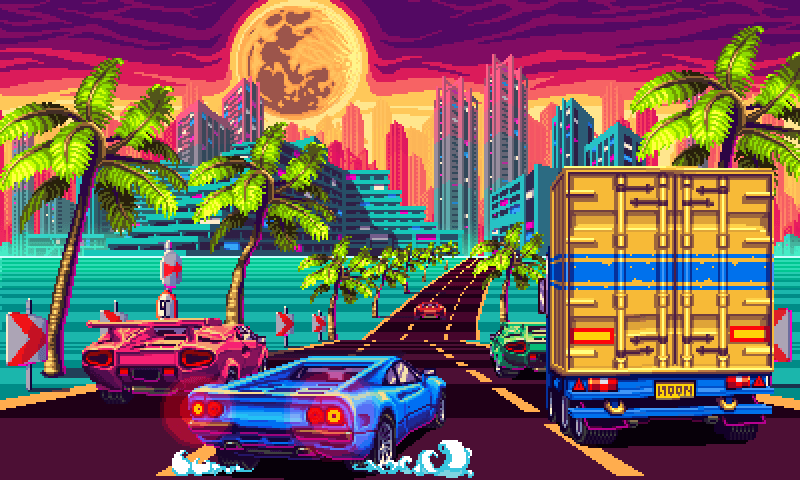 6 retro supercars of the '80s such as Penetrator GT, Intruder Turbo and De Loan. Players will be able to upgrade engine, chassis and tyres to improve top speed, acceleration, handling and braking. Car can be also equiped with police radar and nitro boost. 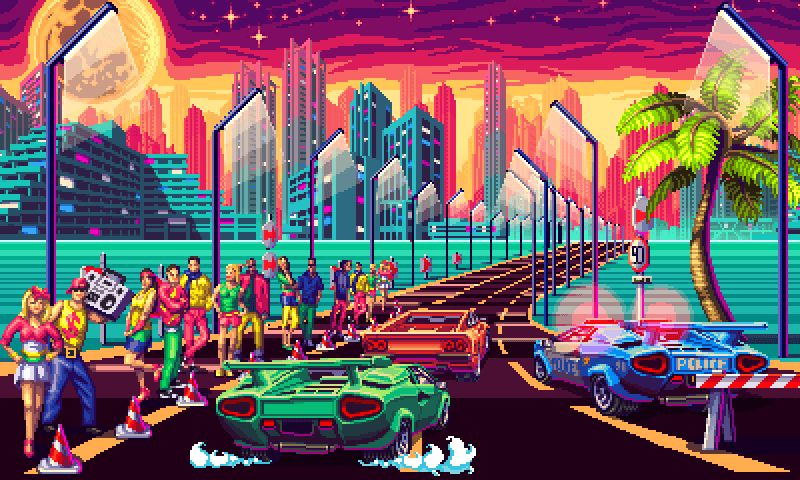 Handcrafted, stereoscopic 3d pixel art graphics and 13 synth/retrowave music scores. 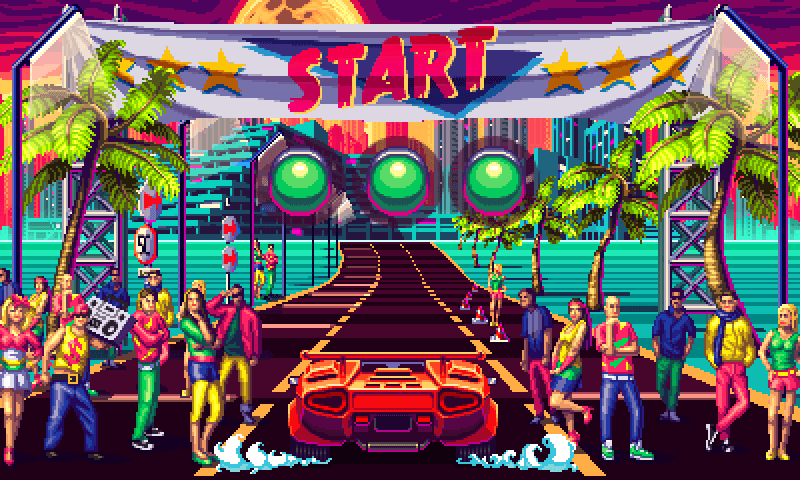 Time-attack mode (Outrun Mode) in which player is fighting against clock and tries to get as far as they can until the time runs out. 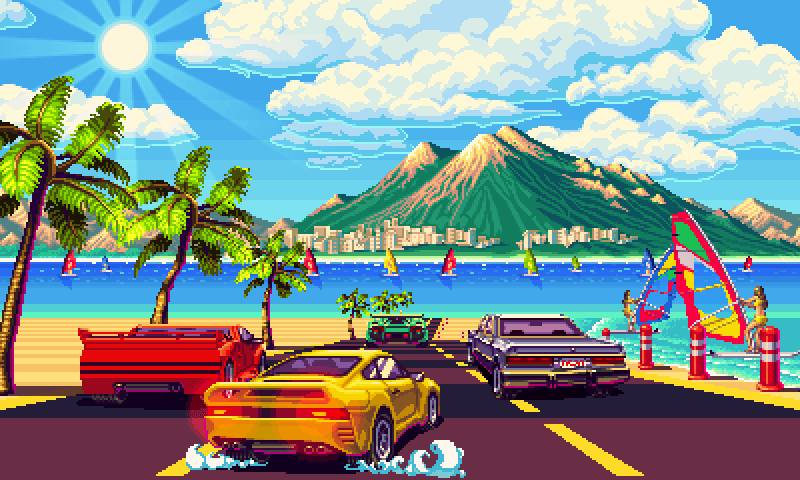 Players can race on their own tracks. Tracks will be made by editing parameters. This would generate the track code which can be shared with friends. Old and New 3ds supported! See our presskit. Get necessary informations. Download art pack. Screenshots, logos and other stuff, right for your article. We love to read game reviews. Fill out the form below and we'll get back to you with a press copy as soon as possible. Please remember to send us your review when it's done.